A small, peaceful estate of 13 bungalows linked in groups and joined by winding paths set in the shade of gardens only 250m from the sea and beautiful beach of Migjorn which can be reached by walking along a quiet, tree lined track in only 2 to 3 minutes. The bungalows are of a traditional design and provide simple, comfortable accommodation for guests looking for a relaxing holiday close to the beach. A supermarket and restaurant are passed on the way to the beach, only 200m from the bungalows. There are 9 bungalows with 1 bedroom and a living room, sleeping up to 3 adults or 2 adults and 2 children. A further 4 bungalows have 2 bedrooms and a living room sleeping up to 5 adults and 1 child. 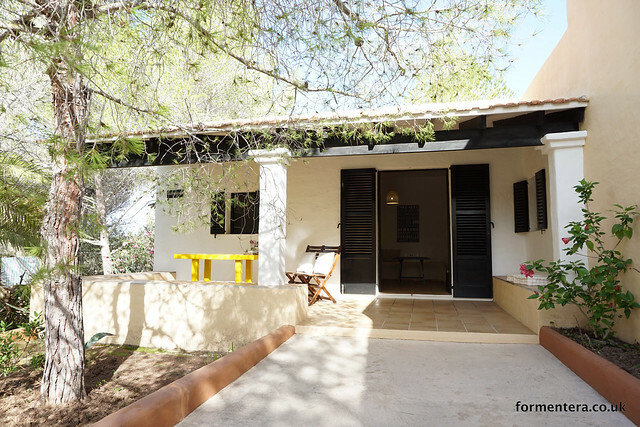 Ca'n Miguel Marti are highly recommended for couples or small families looking for a quiet, good value Migjorn beach holiday.